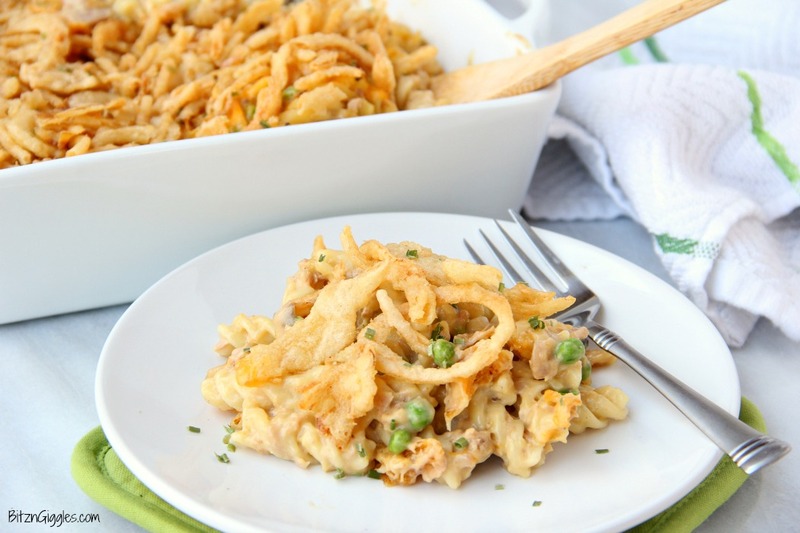 Tuna Noodle Casserole – Pasta and tuna in a creamy sauce topped with cheese and french fried onions! 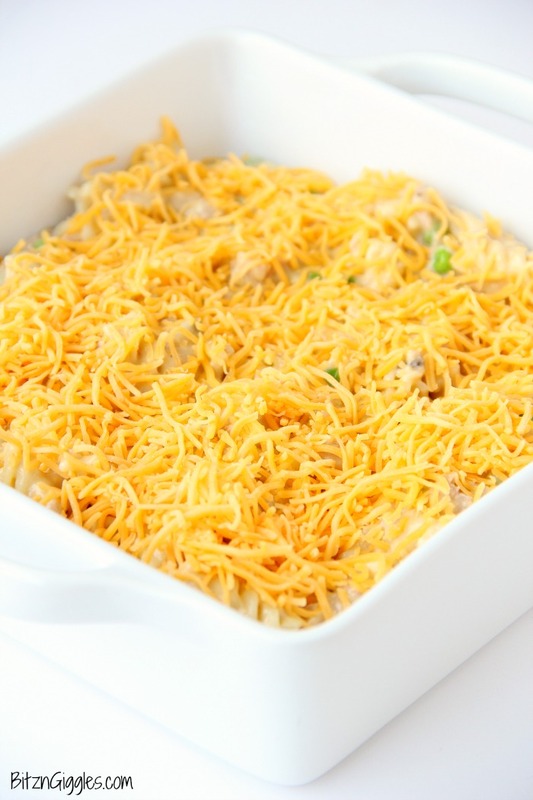 The perfect casserole for busy weeknights! 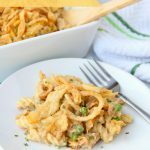 I had a couple containers of French’s Fried Onions left over from the holidays, and I knew right away what I needed to do with them. I use these onions in my chicken casserole, my onion-crusted pork tenderloin and many other main dish recipes. 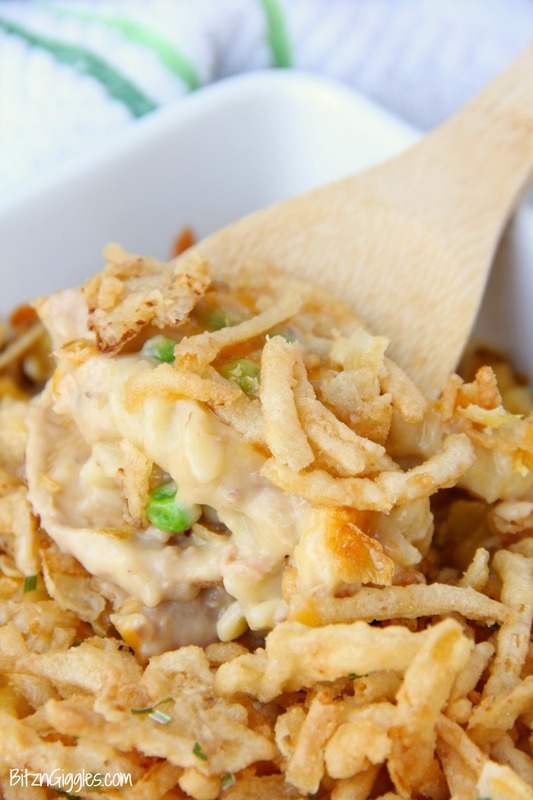 When it’s been a busy day and I haven’t taken any meat out of the freezer to thaw, I often make this tuna noodle casserole. Do you have those days, too? 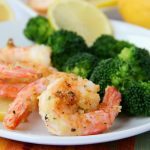 Dinner time rolls around and you begin to panic a little because you have no clue what you’re going to throw together? Yep, we all have those days, believe me. 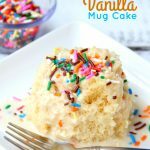 I’m 99% sure you’ll have all of the ingredients you need for this casserole. If you don’t have cream of chicken and mushroom soup, use a can of cream of chicken soup and a can of cream of mushroom soup. If you don’t have the french fried onions, then sprinkle some crushed up Ritz crackers over the top. So many times we find a recipe we want to make and are so disappointed because we don’t have one of the ingredients. 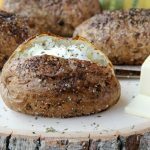 I’m here to tell you it’s OKAY and there are plenty of ways to sub ingredients. That’s why I love casseroles. They’re so forgiving. And they taste even better the next day. Wouldn’t you agree? 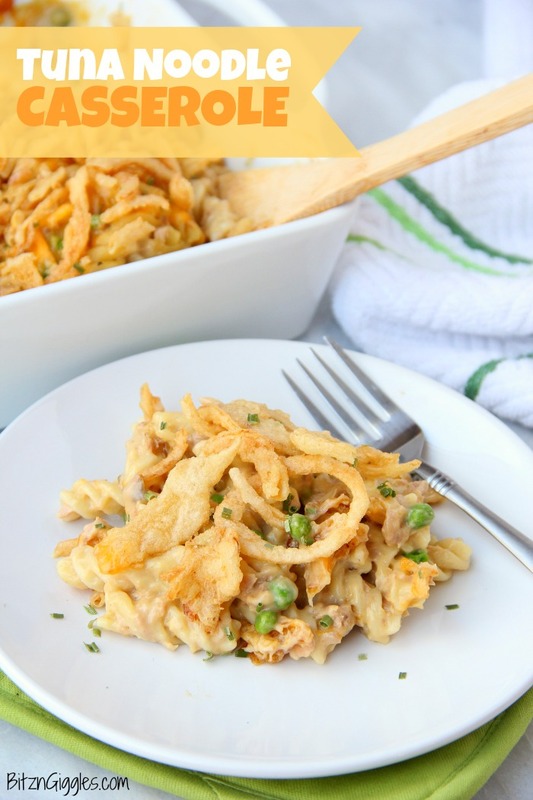 Ready in 30 minutes, this tuna noodle casserole is a classic recipe that the whole family will love. Just dig in, and remember, no worries if you don’t have all of the ingredients. Peas or no peas, rotini noodles or macaroni noodles, it’s going to be great! 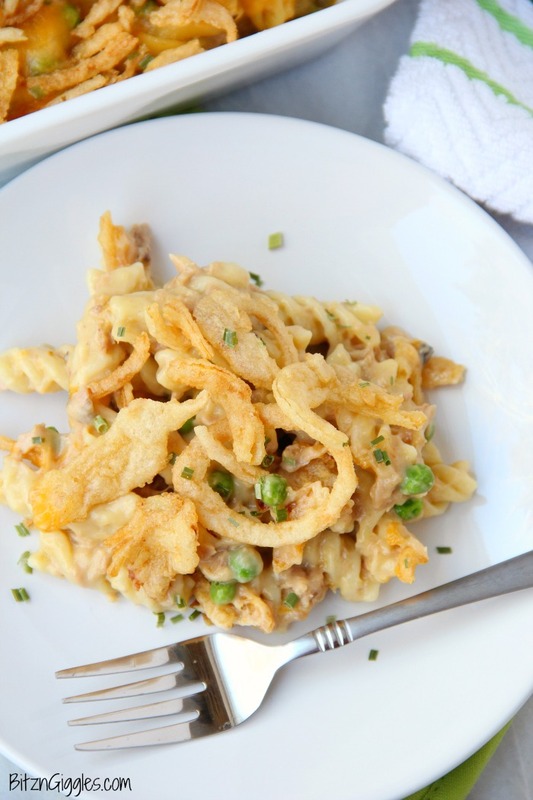 Pasta and tuna in a creamy sauce topped with cheese and french fried onions! 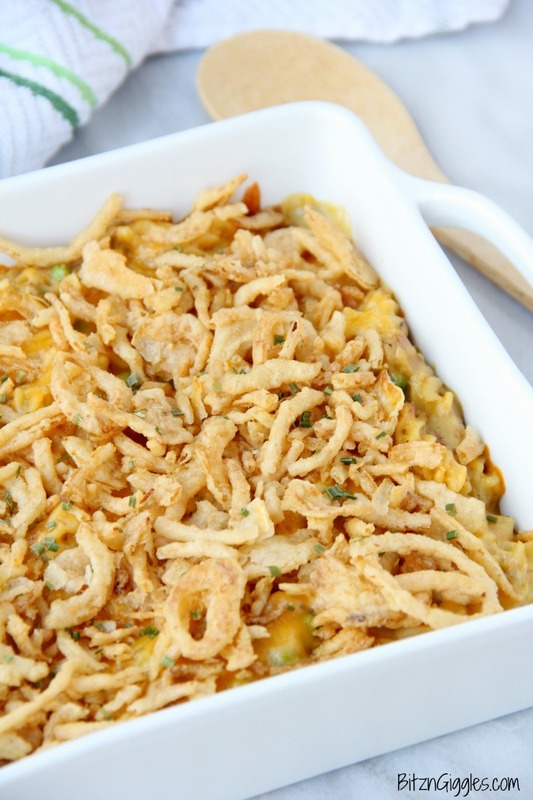 The perfect casserole for busy weeknights! 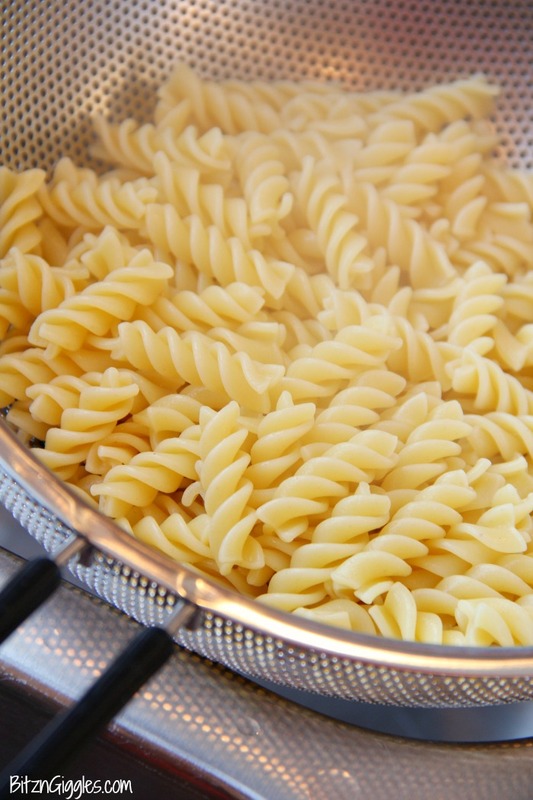 Boil and drain the rotini noodles. Mix noodles, soup, tuna and peas together in medium mixing bowl. Place in casserole dish and top with cheese. Return to oven for 5 minutes or until onions are golden brown. Cream of chicken and mushroom soup comes in a single can. It actually combines both flavors! You just need two cans of the “combo” soup. Hope that makes sense. Hi Julie! I updated the recipe card so these steps are clearer. Hope this helps! 4-6 depending on portion size. 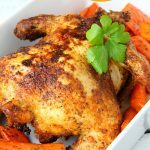 We loved this receipe. ?? We altered the recwipe a little. And since I don’t like peas, we used frozen diced carrots. Our first plain tuna casserole was a disaster, but this one is a keeper, YUM!!! I love your idea to use the carrots. So glad you enjoyed the casserole!